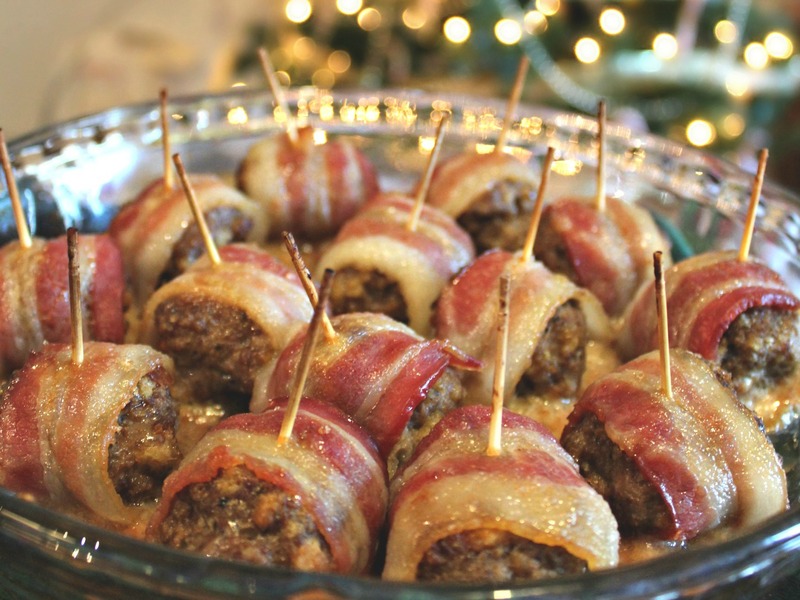 You can never have enough appetizers lying around during the holiday parties. That is why I like to make easy appetizers that I can make more of. I’m all about simplicity. 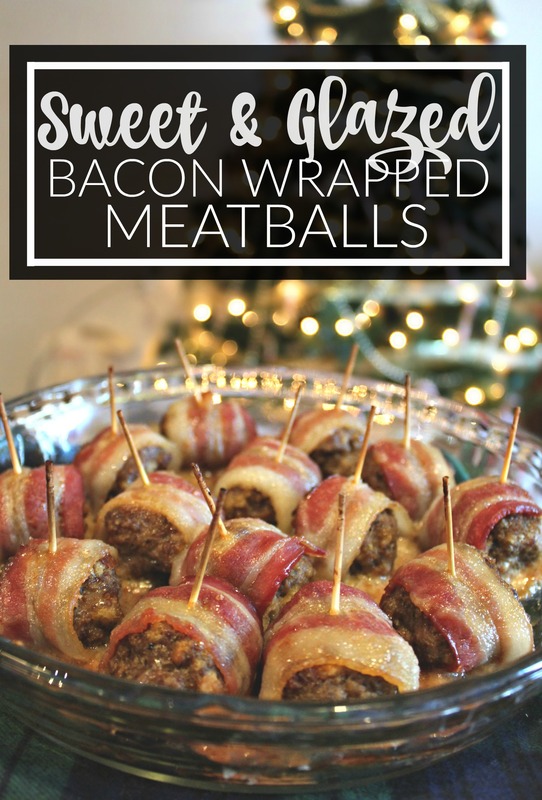 This recipe is a favorite around here! 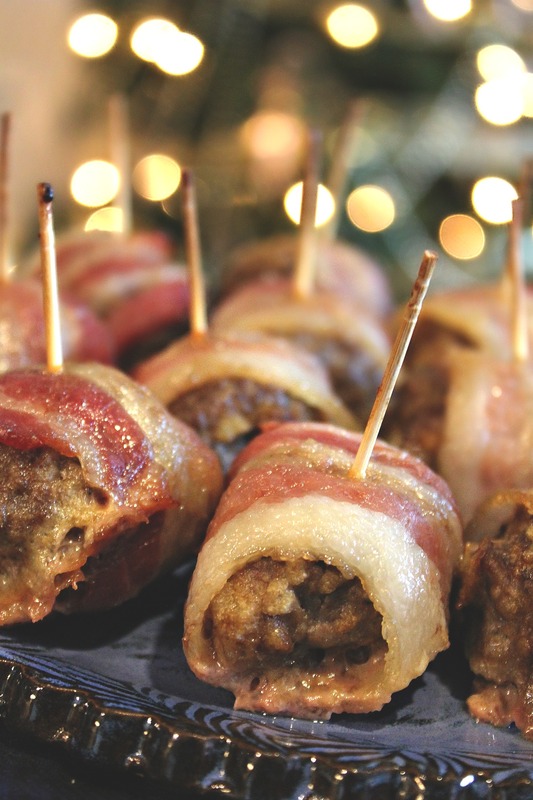 You can never go wrong with anything wrapped in bacon. 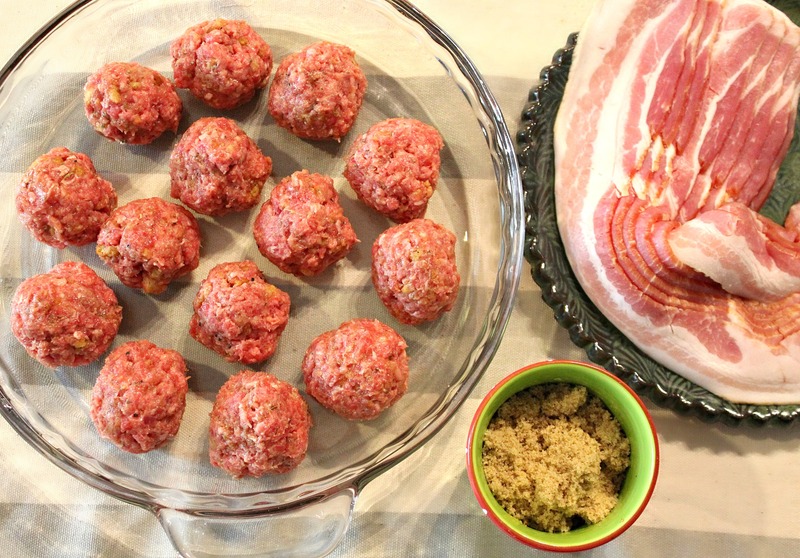 These meatballs are sweet, moist, savory, and incredibly addicting. Make sure to double this recipe, because you’ll run out in minutes! Want a healthier version? 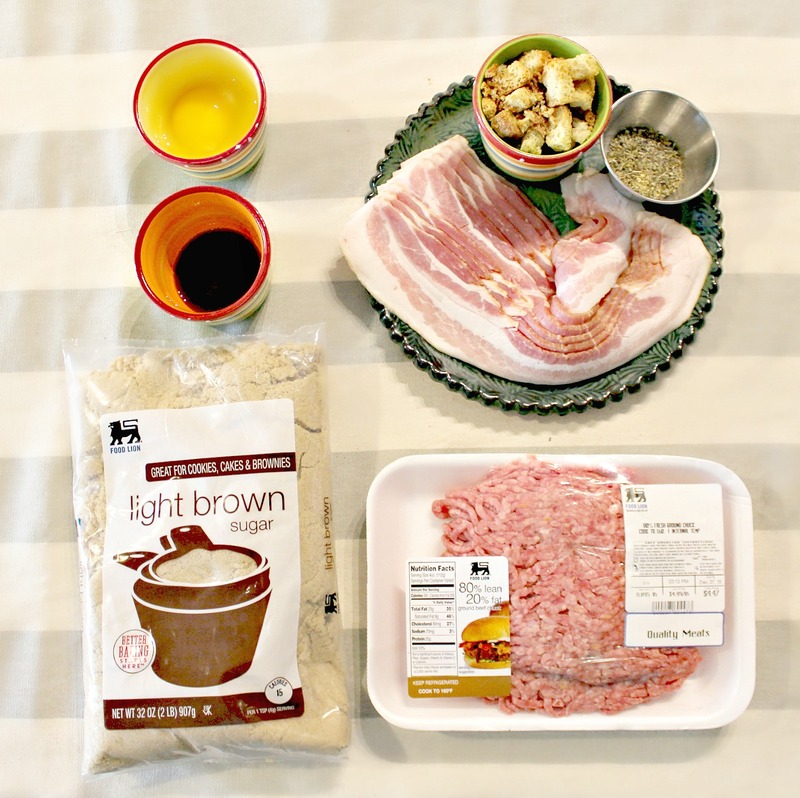 Try turkey bacon and ground turkey! 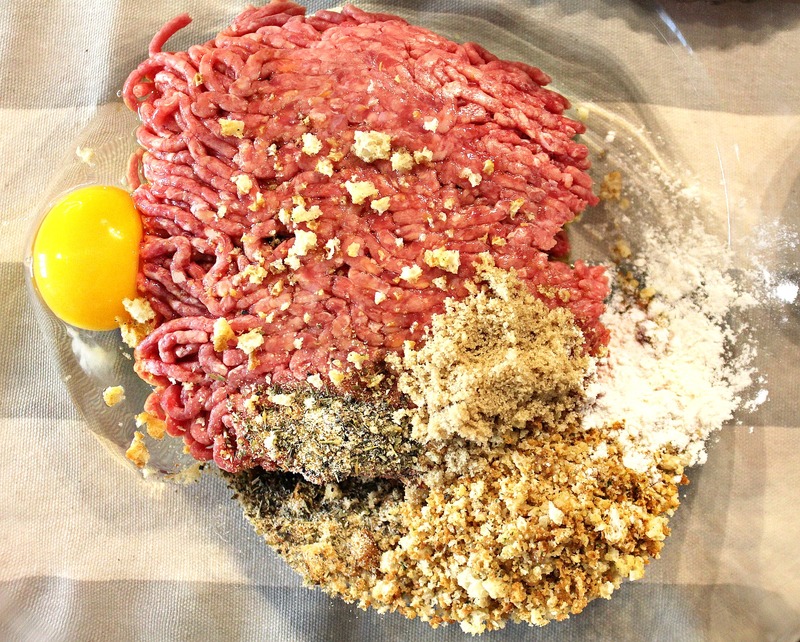 Add ground beef, crushed croutons, egg, one tablespoon brown sugar, flour, italian seasoning, black pepper, onion powder, garlic powder, and soy sauce to a large mixing bowl. Use your hands and combine all ingredients together. 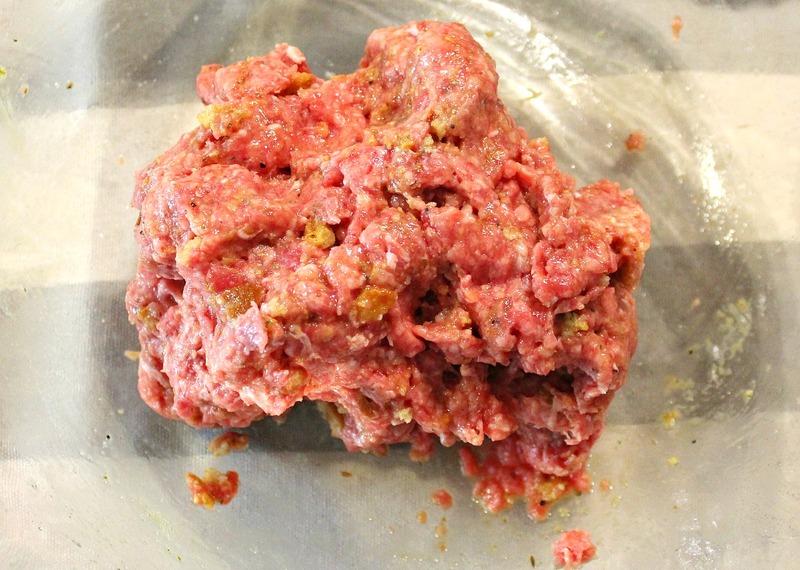 Scoop heaping tablespoons of the meatball mixture. 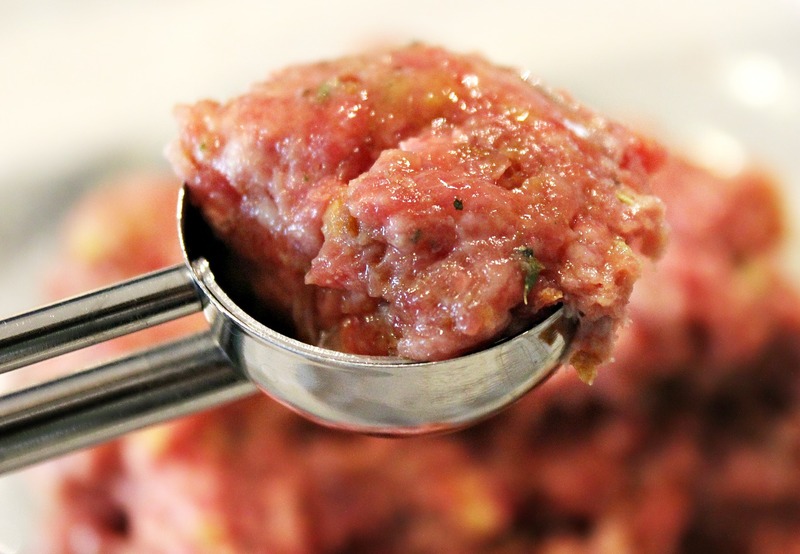 Roll into fourteen meatballs and place them in a baking dish. 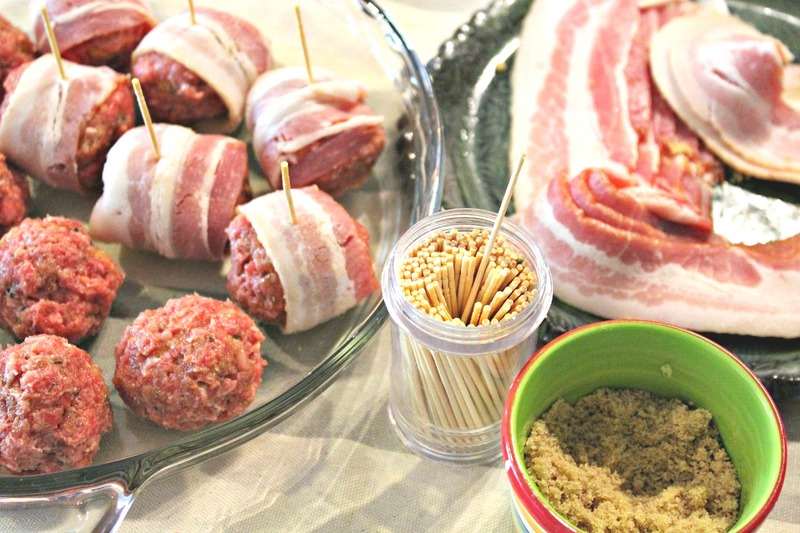 Cut bacon slices in half, wrap each meatball in bacon, and add a toothpick to hold them together. Sprinkle remaining tablespoon of brown sugar over the top. Bake for 15-20 minutes at 350 degrees. 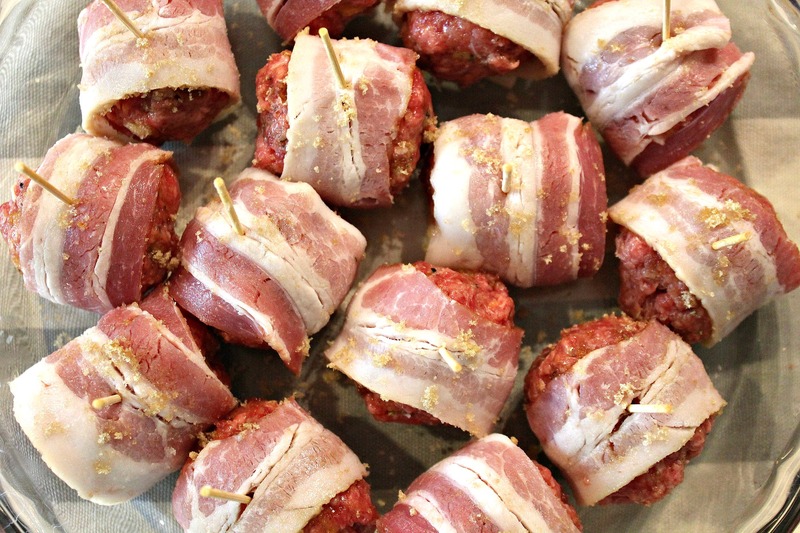 The center of the meatballs should be brown and the bacon should be glazed and crisp. What is your favorite appetizer to make? Where will you be spending Christmas Eve? Do you buy your pets gifts? 1. I haven’t really had to make appetizers before so I’m excited to try these (actually thinking about making them for dinner tonight along with a few other things, just to try them out), and I love buffalo chicken dip and my friend made buffalo chicken dip in won-ton cups I wanna try as well. 2. Christmas Eve I work, so hopefully if I can get off at noon then I will be traveling 2 hours to my boyfriend’s family. 3. We have a stocking all ready for our 2 cats to give them toys and treats for Christmas! I can’t wait! Oh they are so delicious! I hope you enjoy them! I’ve never been a buffalo chicken person, but I like to make the dips for Super Bowl/football parties! Hopefully you can get off soon!! Thanks for this awesome app idea- I’m totally doing this. -Honestly I usually phone it in with rotel velveeta dip- it blows peoples’ minds up here in New England. I use the queso blanco variety and the fire roasted rotel. -I get to go to Nashville!! I’m so excited. My hub’s family is from there and we haven’t been since 2012 so this ought to be a great trip. Before that I’ll be in Atlanta seeing my family, so this will be a southern Christmas for me. My cat likes human food- specifically deli meat or fish- so I usually just give her some fancy salmon on Christmas. Too bad this year she’ll be in a cattery since we’ll be out of town- but I sprung for a fancy garden view room for her so she’ll get to see trees and birds on Christmas. No problem! It’s so easy and delicious. Rotel dip is the way to go! Love adding chillies and meat in there. That’ll be such a fun trip! Nashville is BEAUTIFUL at Christmas! Awwww, I bet your cat loves that! & I love that you gave her a garden view! so sweet of you 😉 You’ll have to have a make-up Christmas with her when you get back! I’m loving all of your recipe posts! I’m getting tons of ideas for the holidays! 1. 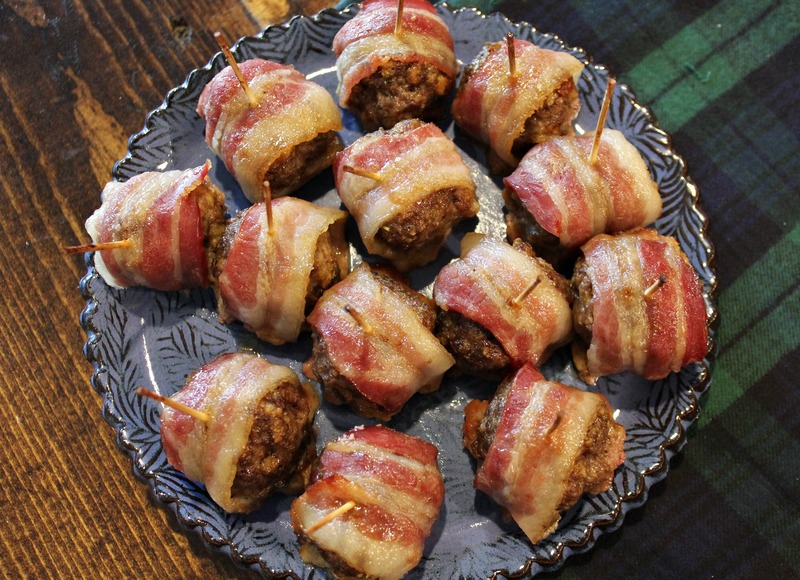 I love little smokies – all kinds! 2. We do Christmas Eve at my house with my husband’s family. It’s pretty laid back, just dinner, presents, and visiting. 2. That sounds like what we do with church. 3. Awwww sounds like Mr. Grumples! 2. 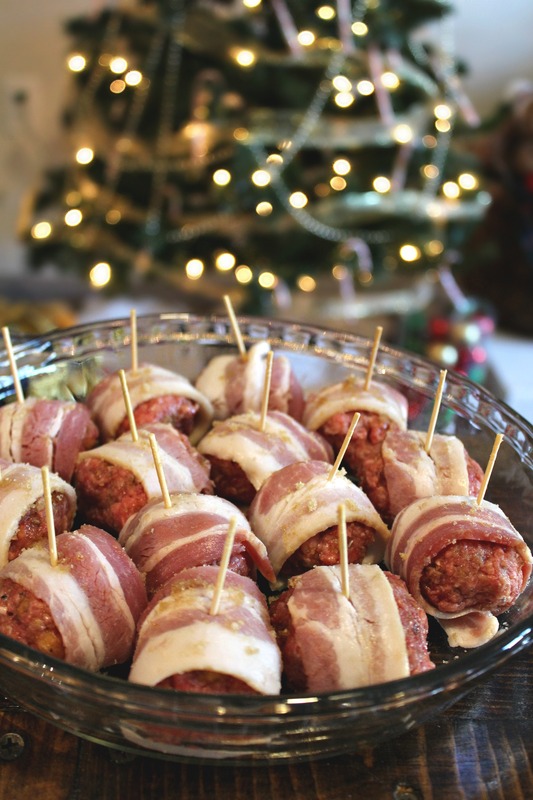 Christmas eve will be split between family events, soaking up the family time and lots of good food! 3. I don’t have any pets but I absolutely would if I did! That sounds heavenly! I’ve been wanting to make crescent rolls stuffed with brie, fig jelly, and honey! These are definitely something I would love to try! They look so good! 1. I make a homemade pepperjack nacho cheese dip that is pretty stinking good. Last New Year’s Eve, my friend and I made tons of appetizers for the festivities and one of my favorites were my famous sweet potato nachos…although my husband and I usually eat that for a meal because they’re so stinking good. 1. HOLY YUM. Pepperjack cheese is my favorite of all the cheeses! Whenever I go to my parents house, I raid their fridge for the crackers and pepperjack cheese. 2. That sounds like a fun and family filled Christmas Eve! 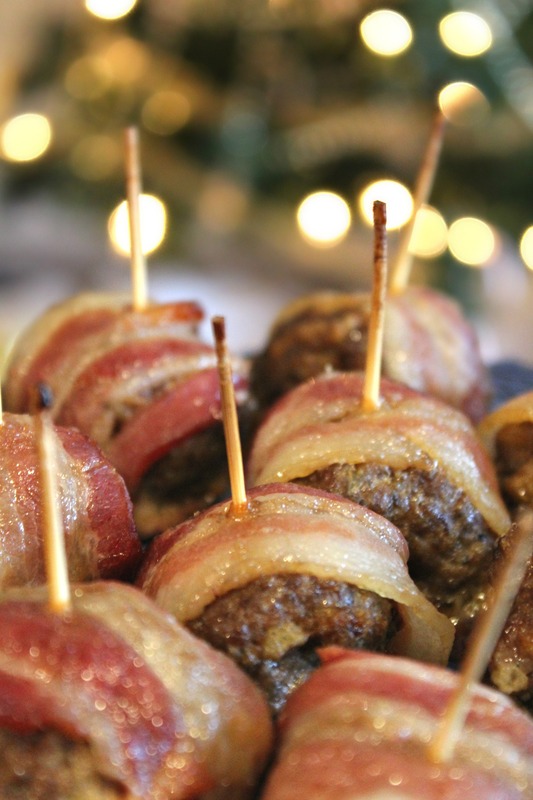 These serve as the ultimate paleo and keto friendly appetizers! With a couple of swaps! they do! Yum! thanks for the idea! Always good to have new years eve recipes ready! Appetizers, if I’m “cooking” for a crowd, I usually go with a fun veggie tray or cheese & crackers tray. But bacon wrapped pineapple is great! We always do Chinese food, drive around & look at Christmas lights & then head to Midnight church (which really starts @ 11, but ends at midnight) It’s one of my favorite traditions. We always end the service singing the Hallelujah Chorus & since our church is small it just sounds so full. No pets to buy for, but if I could I would. Those are easy to assemble and I love having the healthier options laying around for me to snack on. Chinese food sounds like a unique tradition! We are also going late mass this year. This question thing is fun! And that appetizer looks delish, might have to add that to the menu. I could eat just appetizers for the rest of my life and be happy. 1. My favorite one to make is my baked caramelized onion and cheese dip. I combine caramelized onions, plain Greek yogurt, a block of cream cheese, shredded Cheddar cheese, parmasean, goat cheese, romano…basically whatever cheese I have on hand and bake it until it’s warm and bubbly. It’s great with crackers, pretzels and crostini! The best part is you can mix it up. As long as you have the onions, Greek yogurt and cream cheese you can get creative with the other cheese combos. I’ve made it a different way every time and it’s always a hit. 2. We usually have a more low-key night at home but we always go to the late night candlelit service at church – it’s my favorite. We sing ‘Silent Light’ with only the lights of the candles. 3. Yes!! My dog Coco usually has her own stocking with some treats and toys. I can’t resist! So glad you like the questions! I love it too. It allows me to get to know my readers. 1. That sounds absolutely incredible and I’ve never even heard of it. 2. We also do the low-key night with some gifts and sitting by the fire. We do mass late and this year we may go to the 10pm mass! These look so yummy! 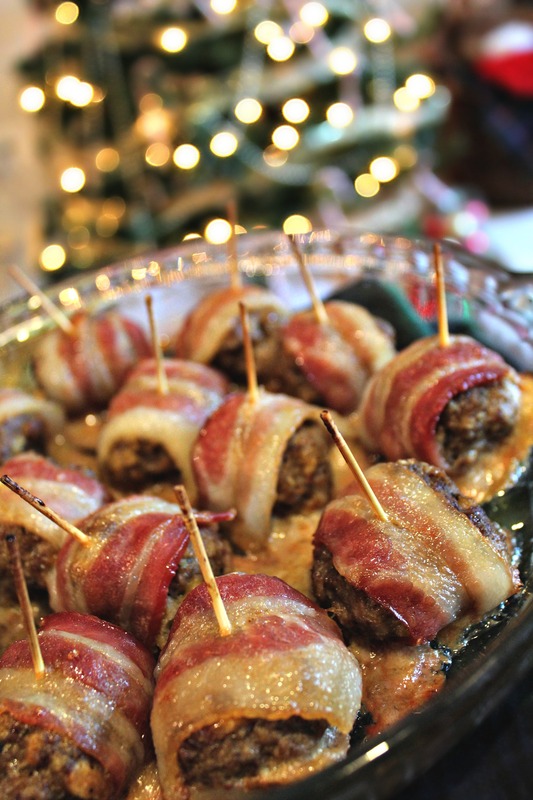 I will definitely be making these for my mother in laws Christmas Eve dinner. They are so delicious and the perfect little party popper! I’ve been falling off my snapchat game lately!